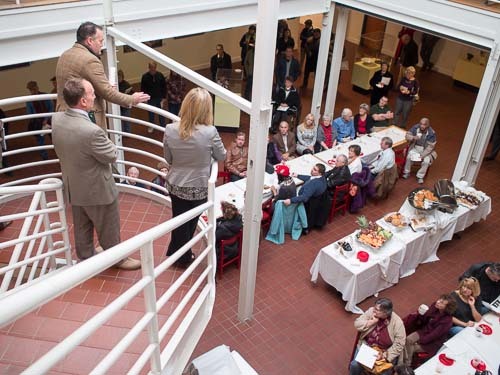 The 2013 West Virginia Biennial Juried Exhibit opened on Sunday, November 24 at the Dunn Building in Martinsburg. 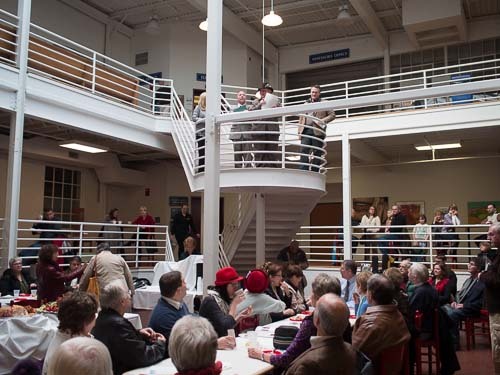 The atrium area on the main level was filled with art and those who appreciate art, including members of the West Virginia Commission on the Arts, who were in Martinsburg to celebrate the opening of the exhibit in the Eastern Panhandle for the first time. In fact, this was the first time the exhibit had been held anywhere east of Charleston. 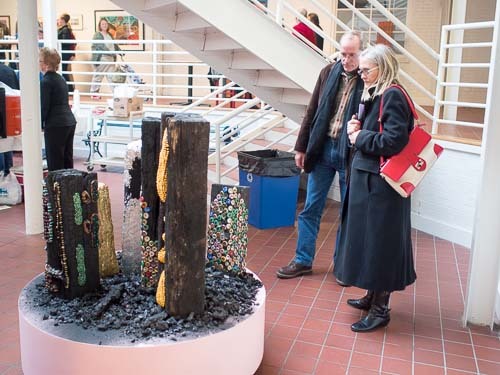 The exhibit opening was the culmination of a special weekend of arts activities in that started with Martinsburg’s special art walk organized by the Berkeley Arts Council. More information about the exhibit is available on the WVDCH web site here and here. The exhibit is on display at the Dunn Building, 400 West Stephen Street in Martinsburg through February 12, 2014. Berkeley County Council Member Elaine Mauck read the Council’s resolution celebrating the arts and the exhibit. Jefferson County Delegate speaks to the reception attendees about supporting the arts. 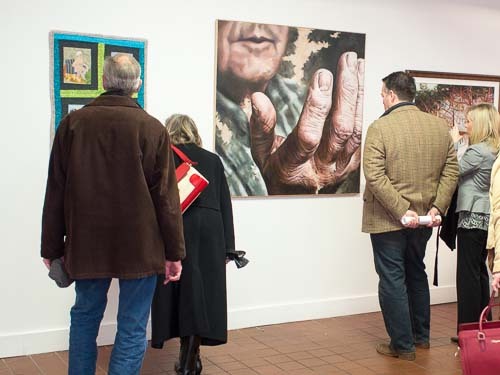 The reception was very well attended and everyone enjoyed viewing the variety of artwork on display.